You know you live in France when your child embarasses you in two languages. Today I took Small Fry to our 19th century apothecary-styled pharmacy around the corner from our apartment. She woke up from her nap with a fire-engine red front and bottom. She needed diaper rash cream fast. As we walked into the pharmacy, she shouted, "Moi have coochie boo boo, Monsieur!" Small Fry: Oui, moi have coochie boo boo! Small Fry: Coochie boo boo! Pharmacist: Where is your boo boo? Small Fry: Là, il est là! (Here it is! Here!) - she screamed as she pointed emphatically to her crotch. Thank goodness there were no other English speakers in the pharmacy. They would have sent me straight to the naughty corner for accidentally teaching Small Fry her new vocabulary word. Of course, none of this would have ever happened if I had potty-trained her at 18 months like my mother-in-law Madame Fromage suggested. Mommy Money Bags is at it again and there's no stopping her! She's been living high on the hog for so long that she's fallen out of touch with reality. Not everyone, including residents of the 16th arrondissement, has a bank account with at least eight zeroes in it and several others hidden in a tiny country famous for skiing, chocolate and luxury watches. "Zees Côtes du Rhône has a good body like you Madame." "Zees old Bordeaux has an intense bouquet of deep aromas zat get better with age, like women." "Zees Sauterne tastes sweet, as you must Mesdames." MMB: So where's everyone going in July and August? NYC Mom: We're in Cannes for 6 glorious weeks. I've got a nanny and an au-pair coming too. It'll be sooo relaxing. Midwest Mom: We're taking the kids on a cruise for a week. MMB: Only a week? Then you'll do something after that right? Midwest Mom: Nothing's planned. Should we? MMB: (Making a face to Malibu Mom) Nobody who lives in the 16th stays in Paris all summer. Only the poor do. It's sinful to stay in a polluted city crowded with tourists when you could be at the beach! Midwest Mom: I was planning on taking the kids to Disneyland one day. We can do a fun activity every week - like visit the Eiffel Tower or Versailles. MMB: You mean you're not going to stay at the Disney hotel so your kids can eat breakfast with the Disney cast? Midwest Mom: No, we don't need to. MMB: It sounds like you need to spend the summer looking for a country house to buy so you'll have a place to go next summer. I'll lend you mine in La Baule while I'm vacationing on Ile de Ré. Midwest Mom: (Rolling her eyes at Miami Mom) Well, we just bought an apartment. That and a cruise is pretty much going to tap us out. Isn't that enough? Besides, who says I have to have a country house just because everyone else does? Mommy Money Bags - cruising for a bruising! How do you know when a French dog has a better life than you do? When he travels with his dogsitter first class via the TGV train to Saint Tropez? Just to spend the weekend at his master's beachhouse clearing his lungs of dirty Parisian air and exercising his legs at the beach. Oh, and he's chauffeured around St. Trop' in the Range Rover to get his doggy mani, pedi, coif, and blowout. Normally I'm not a jealous person, but lately I've been finding myself très jalouse of Tache (translation: Spot), my neighbor's dog. Not only does Tache get more manicures and TGV frequent train miles than I do, I've realized that he lives a better life than most people in the 16th arrondissement. That's a hard thing to do, actually. Natural habitat: During the week - Neuilly and Paris 7th, 8th, 16th, & 17th arrondissements. Weekends - Relaxing with his family at the vacation home in Deauville or with the dogsitter in Saint Tropez. Hangout: Running with the dogsitter in the Bois de Boulogne while his master plays tennis at the Racing Club de Paris. Has also been seen exiting the posh beauty salon Carita after having his toenails buffed to a jet set shine. Uniform: Louis Vuitton monogrammed dog leash with matching monogrammed leg warmers in the winter. Smaller Jet Set Dogs are seen being toted around in LV monogrammed leather doggy bags. How to spot the Jet Set Dog: He has a better wardrobe than you do (see above) and he gets better service, too! 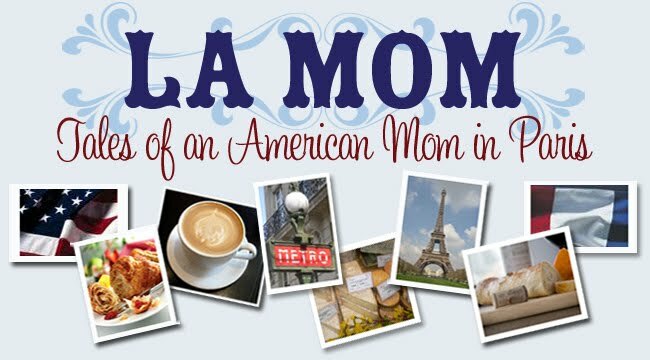 Where else but in France (and specifically the restaurant L'Avenue), would dogs be more welcome than the expat moms who meet there with Bugaboo strollers in tow and big, bright American smiles? Jet Set dogs get the royal treatment. Crying babies and their moms get dogged (no pun intended). Profession: Shopping Sherpa. The Jet Set Dog is obliged by his master's wife to go shopping with her at the designer boutiques on the Rue du Faubourg Saint Honoré. Three times a week. Zee French: They have no idea know how to hunt. The English: They approach hunting as a fine art and are always trying to refine it. Les Italians: Someone always ends up shot and bloody! Los Spaniards: Someone always ends up lost and separated from the group. Doggy names: Gaspard, Napolean, Marlé, Balzac, Chou Chou. Woof woof - it's a dog's life.